My alarm sounded at 6am and after hitting snooze numerous times I finally built up the energy to get out of bed. I gathered my camera and various other bits and pieces and made my way south. My destination? 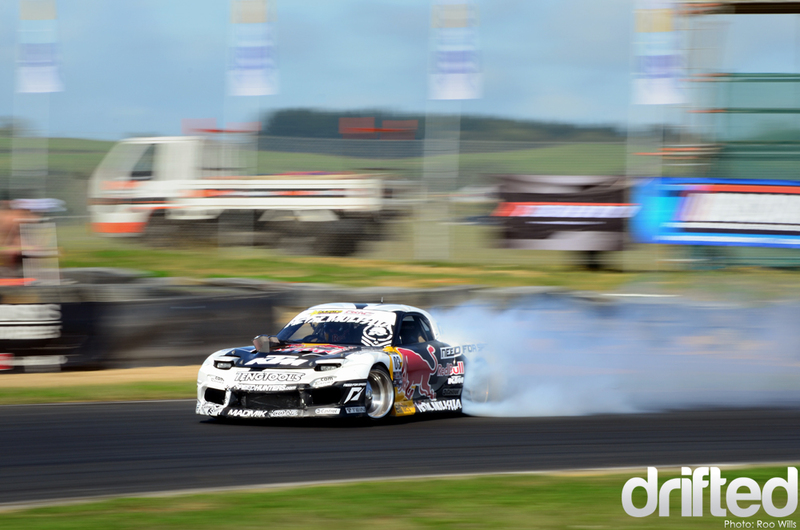 Hampton Downs Raceway for the Grand Final of the Rockstar Energy D1NZ National Drifting Championship. I met up with a few close friends on the way for breakfast and to purchase some supplies to keep us fed and hydrated during the long hours on the in-field ahead. We arrived to an eerie setting, no cars were out on the track yet and there was alot of fog that meant you couldn’t see more than 20m or so in front of you. Unfortunately I took photos of all of this on my film camera and haven’t had them developed yet. I will share them when I have them! 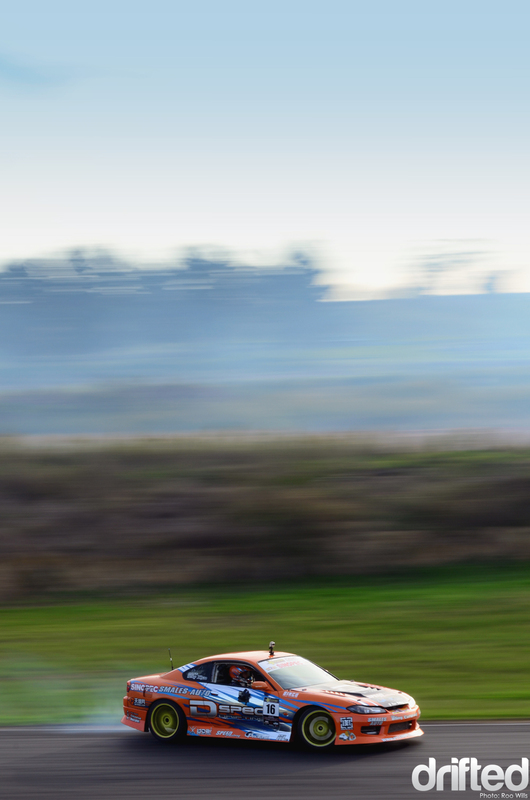 After drivers briefing and a quick chat to us media folk, the first session of testing was announced. Each D1NZ round is run over two days, the first is testing for D1 drivers (the pro’s) and qualifying and Top 16 battles for the Rookies (pro-am’s). 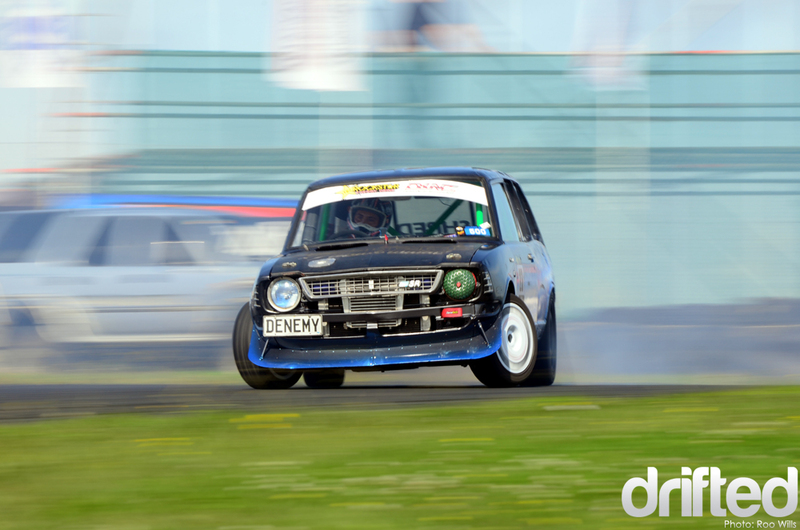 While the second day has the Rookie Top 8 battles and then D1 qualifying and battles. I’ll cover day two in Part II soon. 2 x D1NZ defending champion Gaz Whiter was on form as per usual. 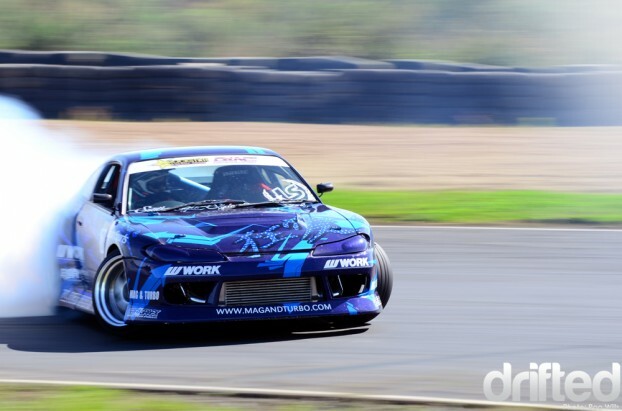 Gaz and his father Tony squeeze some very impressive power figures out of their SR20’s but unfortunately have been through a few motors this season. 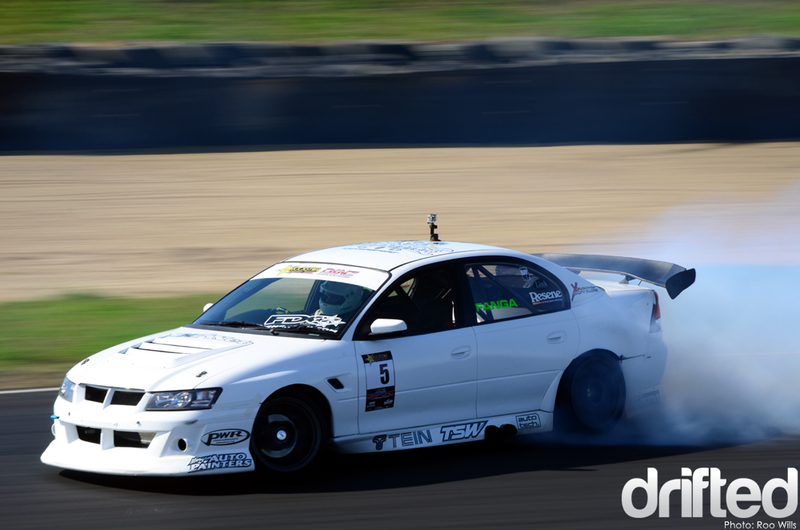 Luckily though, this last motor has lasted two rounds with no issues! 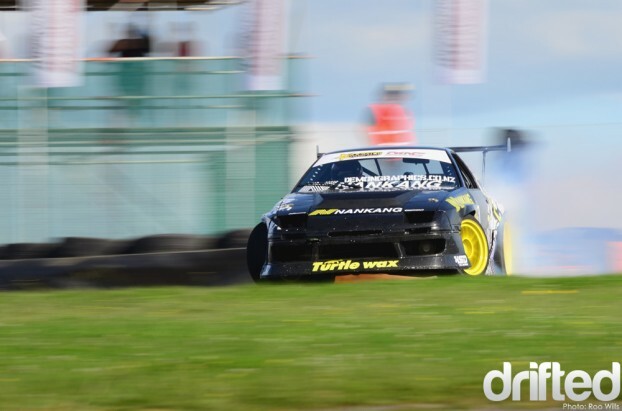 Another former D1NZ Champion, ‘Fanga’ Dan Woolhouse, has had very pleasing results since he re-powered his Commodore. 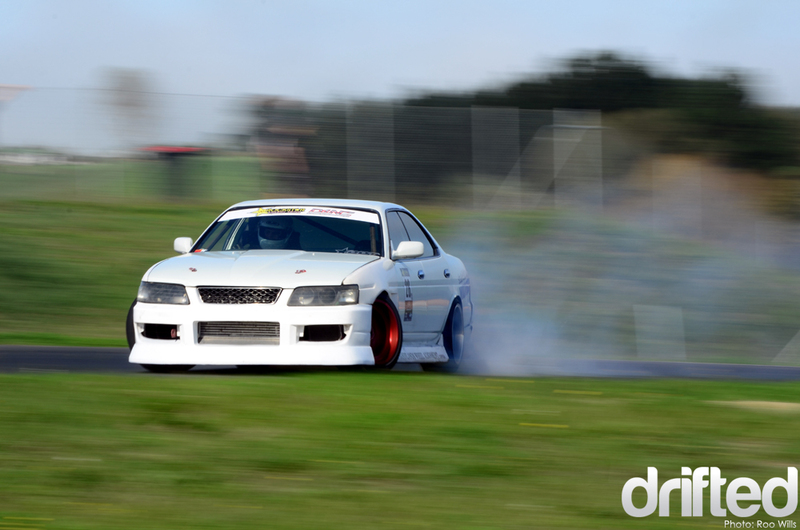 The car was running an RB26 setup from a Skyline but has now gone back to its roots and runs an LS2 V8. 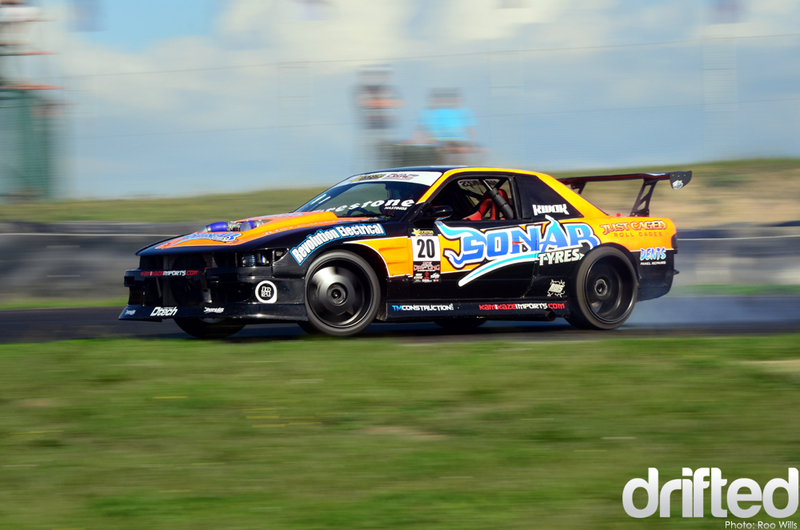 Curt Whittaker and his Sonar Tyres R34 were in second place leading into this round, and was driving like he could take the top spot. You’ll have to wait for Part II to see the outcome! 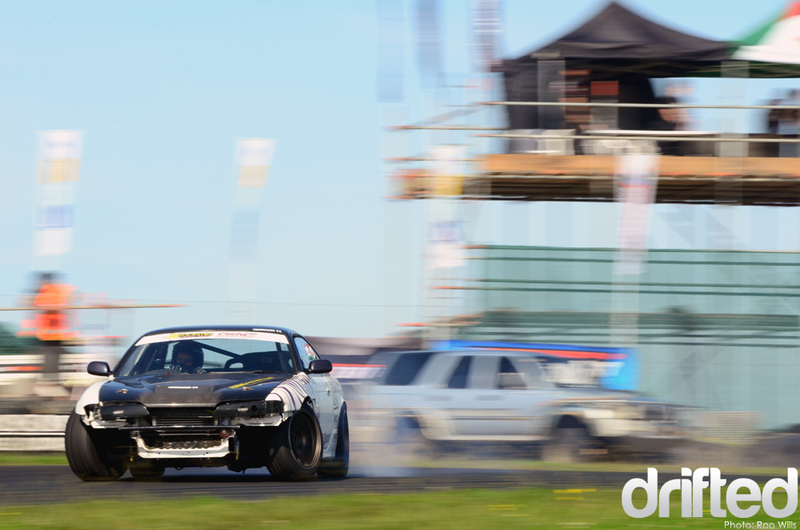 One of the newcomers this season was Bruce Tannock. 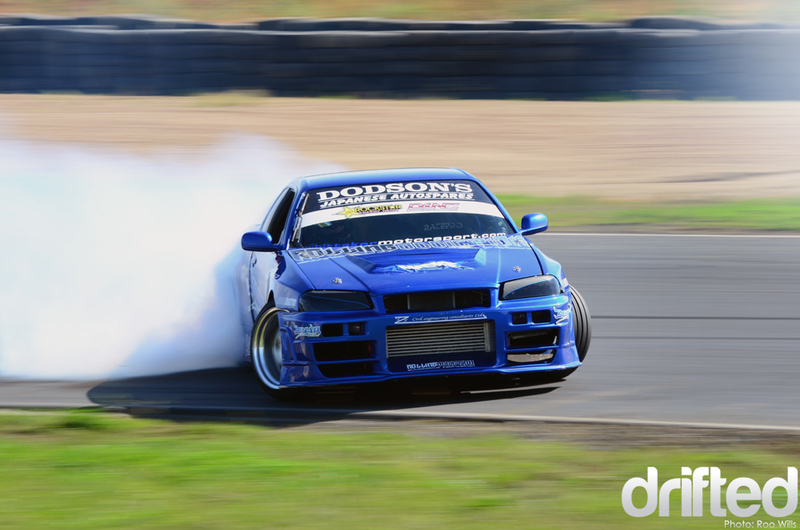 A regular grassroots enthusiast stepped up and joined the big boys in his Rocket Bunny equipped S13. Another new entrant this season was Gary Tenana, his driving really improved from round to round. This was also the second outing for his new S15. 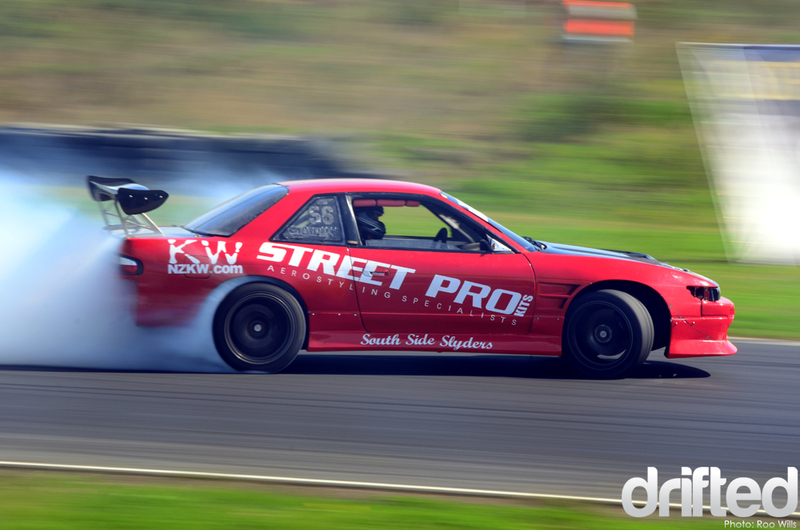 Gee Mutch was driving the Street Pro Kits S13 with huge angle and style all day. It seems like alot of drivers this season were plagued with mechanical issues and one of those worse effected was Steve Sole in his JZX90/100 Chaser. 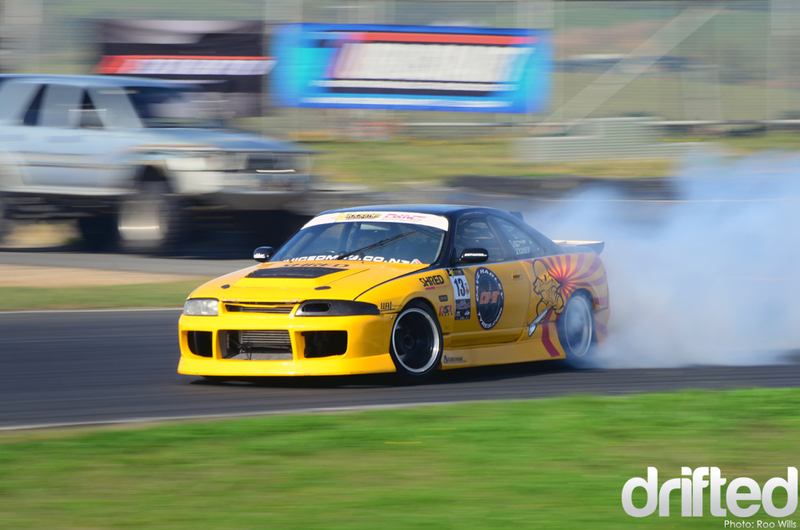 Steve even went back to his old RB-powered R32 for a few rounds while they sorted the Toyota. 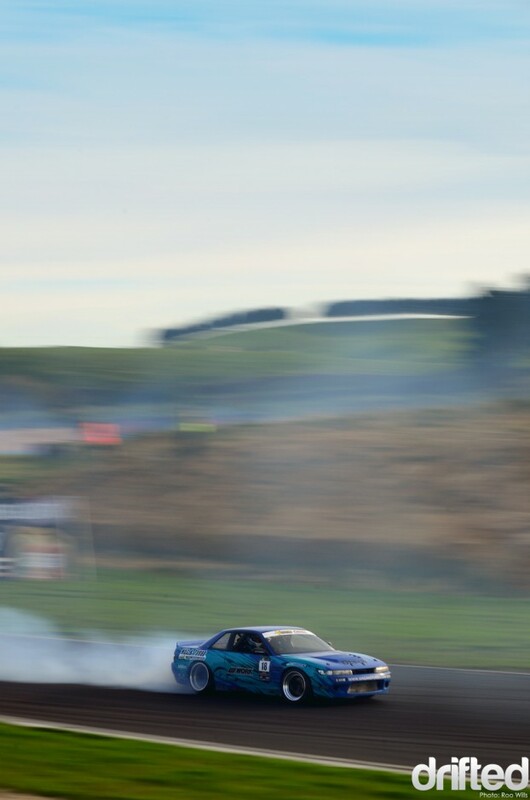 But I was pleased to see the Chaser was back and driving better than ever, this is definitely one of my favourite cars in D1NZ. 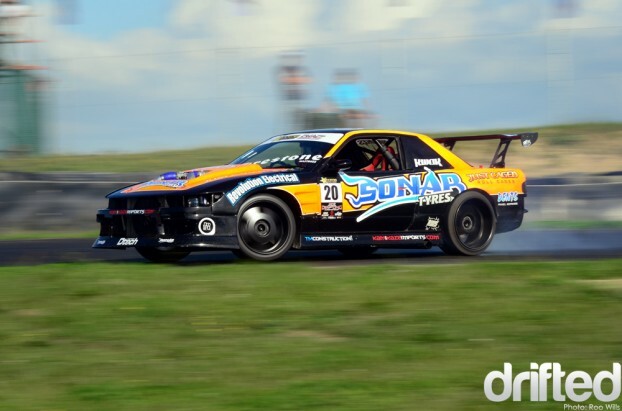 Sitting in 4th place leading into this round was Cole Armstrong in his R34. 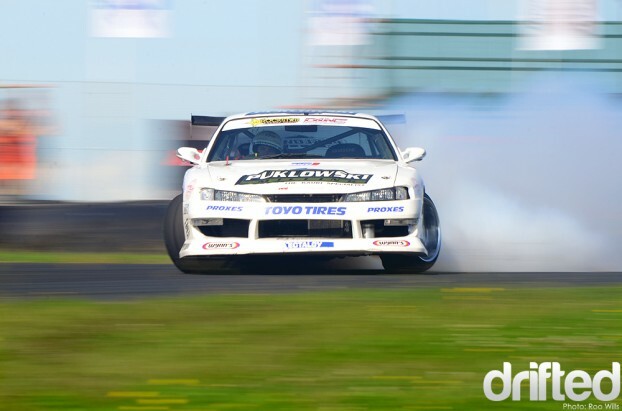 Check out that entry! 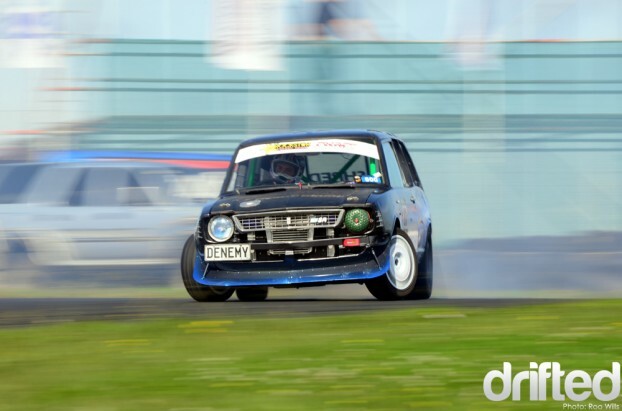 D1 Rookie driver Bradley Lauder has been consistent all season and was driving very well through testing. …but that meant for some pretty cool backfires! 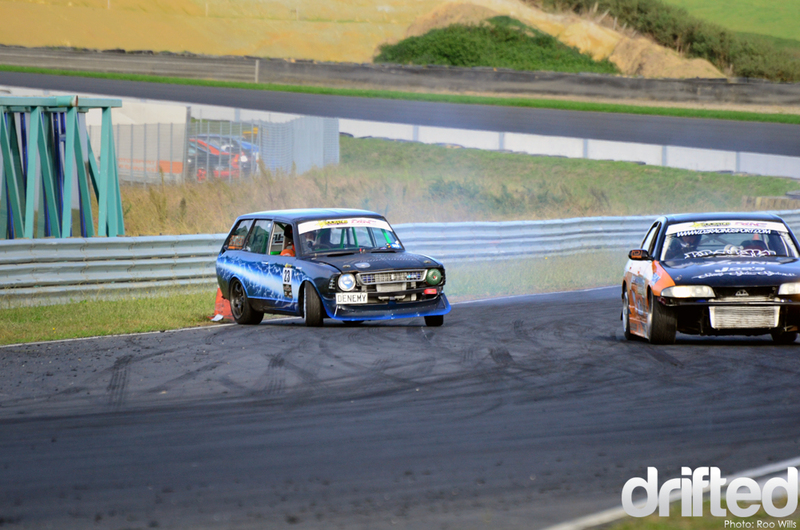 Dimitrios Amos drives like an absolute maniac in his SR-powered KE wagon. Just look at this entry into the judged section! 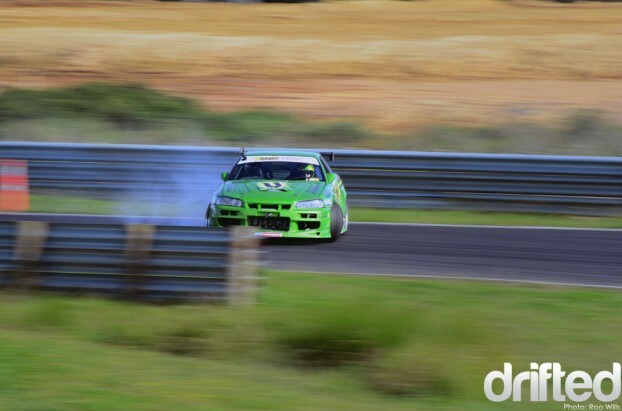 Mac Kwok flies over turn 2 in his twin turbo V8 S13. Sky Zhao has really improved over the season and looks to be getting used to his new S15 Silvia now. I know he’ll be practising hard during the off-season. 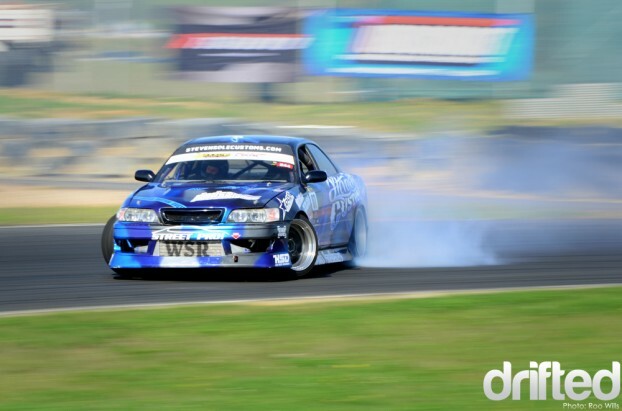 I’ll leave you with this shot of my favourite car in D1 Rookie, Darren Benjamin’s 2JZ powered C35 laurel. Check back soon for Part II!